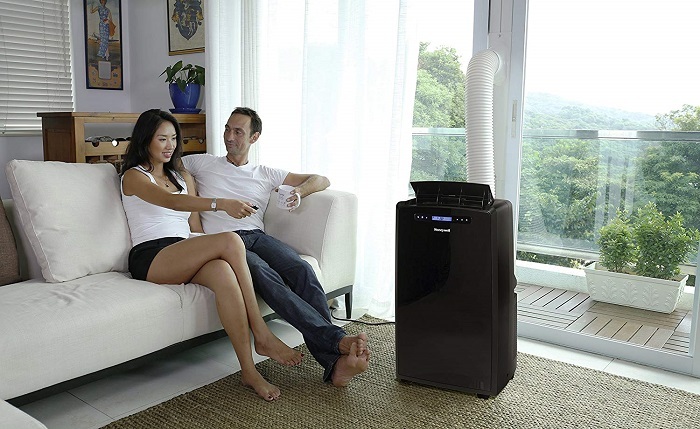 Lasko CD09250 is one of the best space heaters on our list. This space heater is very compact, lightweight, and very reliable in delivering warmth safely in your room. 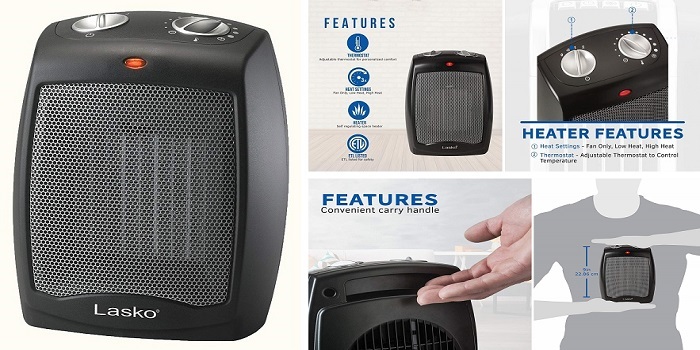 It comes with compact classic design in black with convenient carry handle and cool-touch exterior so you can move this space heater easily safely. Its compact size allows you to place the heater on your table, even under the desk, or somewhere else that close to you. Weighing at 3.7 lbs, which should be light enough for transport but heavy enough to sit comfortably on your table. Lasko CD09250 is also available in silver. Its ceramic heating element brings 1500 watts of comforting warmth to your room. It’s ideal for use in bathrooms and small bedrooms, but it can also generate enough heat to warm up larger living spaces. Equipped with a fan function, Lasko CD09250 can deliver both warmth and a cool airflow, which makes it useful in all seasons. There are two knobs installed on the top of the heater so you can set the thermostat to your desired temperature (high, low, or fan only) conveniently. When it reaches the temperature you set using the thermostat knob, it automatically shuts off. It also automatically turns on when the temperature drops. 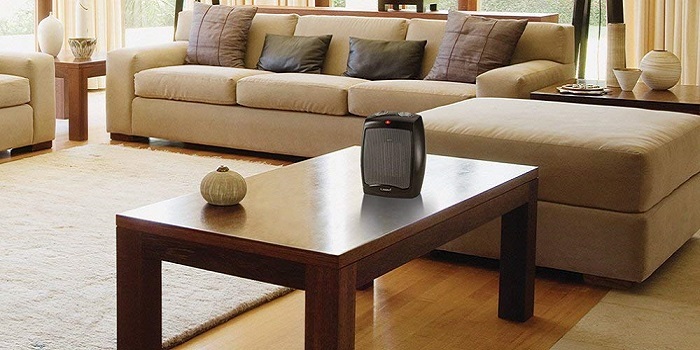 For safety, this portable space heater is equipped with overheat protection to avoid the risk of fire. • Heats up very quickly. • Easy to use manual controls. • Very quiet with a minimal amount of hum. • The unit is ETL listed and UL certified so it’s passed US Government safety checks. • Cord can get hot. • No tip-over shut off. • The temperature settings are generic and not specific temperatures. 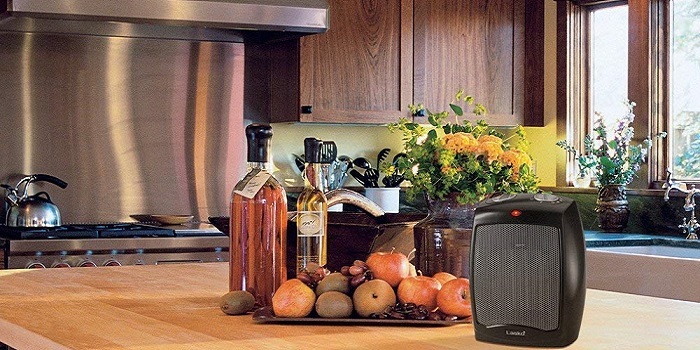 • 3 quiet settings - including high heat, low heat, and fan only make this electric space heater ideal for warming up an area in your home or home office. • Adjustable thermostat - allows you to adjust the heater's 1500 watt ceramic heating element. • With 11 different temperature settings you're sure to find a comfortable setting. Simply turn the dial to the heat setting you desire and enjoy comforting heat. • Convenient carry handle - makes it easy to move the space heater. • Built-in safety features - overheat protection ensures the space heater does not overheat even if left on for an extended amount of time. 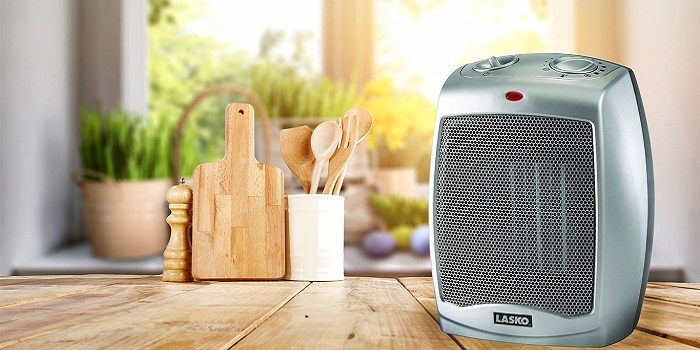 If you are looking for a compact, reliable, and easy to carry space heater to be placed on your table, work desk, or somewhere else close to you, then “YES” you should buy Lasko CD09250.